They say there’s a first time for everything and - with the announcement of the 2019 What Car? Car of the Year award - that certainly rings true for Kia. 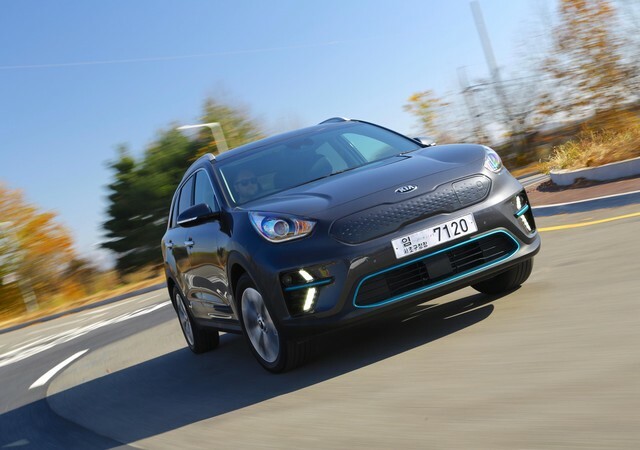 The e-Niro electric car became the first South Korean vehicle to win the coveted award, and the first fully battery-powered one to do so, to boot. Beating off stiff competition from 23 other category winners, the zero-emissions family car was praised for its long-range abilities (comprising a Real Range of 253 miles), lower cost and practicality. At findandundmycar.com HQ, we’re finding it hard to disagree with their decision to give the e-Niro what has become the undeniable Oscar of the motor industry. What we love most about the e-Niro is the fact that Kia has built a true, everyday car for everyday people. In an increasingly eco-conscious society, the South Korean giant has managed to seamlessly create an accessible, practical, family-friendly vehicle that reflects this shift in cultural values. Gets you to where you’re going comfortably, reliably and cheaply? Tick. Solid performance, handling, and ride? Tick. A seriously impressive infotainment system? Tick. Spacious, safe, and secure? Tick. Great to look at? Tick. What’s more, the e-Niro’s £3,500 plug-in, ultra-low emissions grant subsidy means it can be purchased for just under £33,000. Considering what you get for your investment, Kia’s new kid on the block really does save you quid on the clock. There’s really not much more we can say about the e-Niro, other than the fact that it’s a truly worthy winner. Once the e-Niro to hits the forecourts of findandfundmycar.com dealers, keep your eyes peeled and wallet ready – this is one car worth taking for a test drive.